One frequent suggestion I got from developers willing to use MARS REST library is to make it as easier as possible to start from scratch. 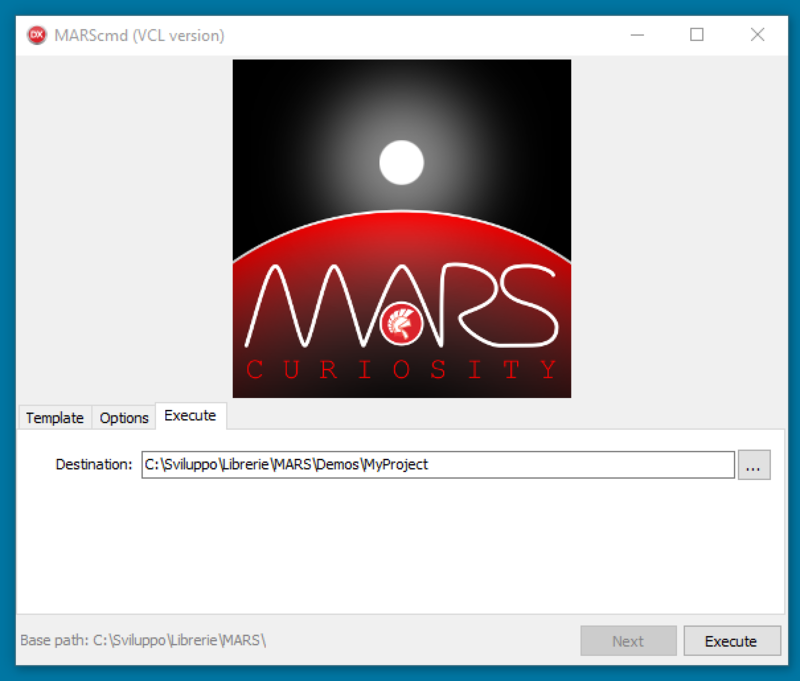 I created the MARScmd project (MARS\Utils\Source\MARScmd\MARScmd_VCL.dproj) an utility to kickstart a new MARS application project from scratch (cloning from Demos\MARSTemplate, for instance). The MARSTemplate project is part of the Demos set of MARS library and it is intended to show how it is possible to implement a set of REST resources and applications and deploy the resulting application server using several different modalities, including: standalone VCL app, standalone FMX app, Windows service, Console application (Windows, Linux), Apache module (Windows, Linux), ISAPI dll. Each modality has a dedicated project (.dpr/.dproj) and there is a group project (.groupproj) including them all. The structure of MARSTemplate is IMHO the best way to start your projects so till now I suggested to people to copy MARSTemplate and perform a global renaming replacing MARSTemplate to the name of their new project. This operation can be time consuming (due to the number of files interested) and it was not trivial to automate as it included search&replace into some files and also renaming of some other files. This is why I created MARScmd. You are allowed to have different templates if you like (simply select the right one clicking the apposite button near the edit with the template path) or click Next and go to the Options page. Here you can specify the text to be searched and replaced, also you can state some patterns to match files whose content will be changed by MARScmd. 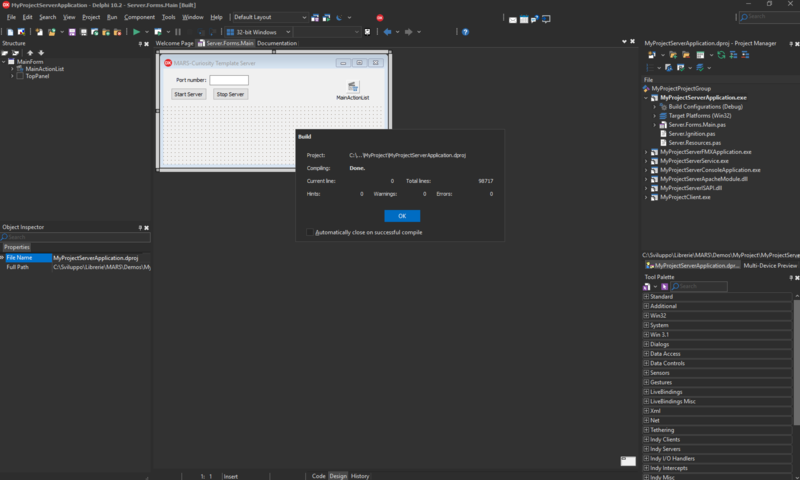 Every file in the Template folder will be renamed (without considering the Matches parameter) if the text to be searched is in the file name but only those files with a name matching at least one pattern will have their content updated. Last page will allow you to select a destination folder and finalize the operation. 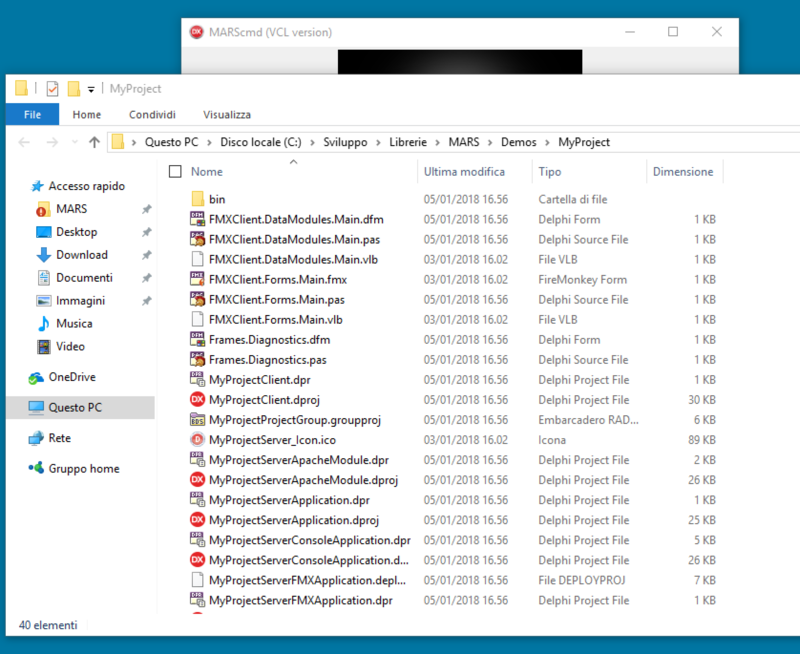 At the end, the newly created folder will be opened in a Windows shell where you should easily spot the .groupproj file. If you open it, you will have your MARS REST server project ready in the IDE. I hope this little utility will be as handy for you as it is for me and I am open to suggestion for functionalities to be added to this utility (already have some ideas though). un ottimo regalo di inizio anno! Is there any support for OAuth2 in Mars Curiosity? Not yet but I would be interested in adding it (if we are talking about supporting OAuth2 and not implementing an OAuth2 server with MARS). If you are interested we may try to build it together. Just a question : as you are going to support Starter Edition, why not consider Zeoslib or mORMot Zeoslib implementation, to complete database feature (added or insted of Firedac) ?